CANBERRA: Prime Minister Scott Morrison fired the starter’s gun on his re-election drive on Monday, promising to keep Australians safe in a dangerous and sometimes ‘evil’ world. Painting a grim picture of a country threatened by terrorism, people smuggling, drugs, natural disasters and crime, Morrison argued the opposition Labour Party under its chief Bill Shorten were ‘asleep at the wheel’ on security. Australians are expected to go to the polls in mid-May to decide whether Morrison’s conservative Liberal Party gets a third term in government. Polls show Morrison is personally popular but his party is heading for its biggest defeat in decades — something he hopes to turn around by pointing to a strong economy and an uncompromising stance on security and immigration. “Foreign interference. Radical terrorism. People smuggling. Natural disasters. Organised crime. Money laundering. Biosecurity hazards. Cyber security. The evil ice trade. Violence against women… online predators and scammers who seek to rip off older Australians – cyber bullying. Elder abuse,” he said, listing a myriad of threats. Morrison’s message is likely to resonate strongly with the hard right of his party and with Australia’s powerful conservative media outlets. But Morrison, who became prime minister in a party coup last August against the more moderate Liberal leader Malcolm Turnbull, is gambling that a sense of fearfulness resonates with the broader electorate. 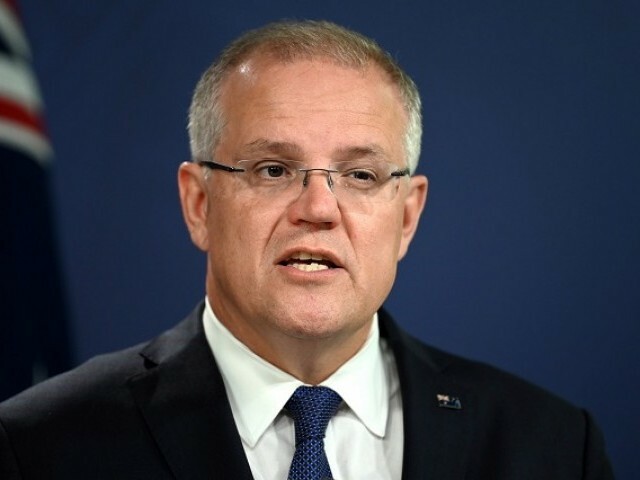 Morrison’s minority government will face an early test of its policies this week, when members of parliament vote on a bill that would allow doctors to decide when asylum-seekers kept in offshore detention centres can be transferred to Australia for medical treatment.